Hey, we are open from January 2nd with our regular winter business hours. We are celebrating 44 years in business at the same location this year. Check out the 2018 Calendar of Events schedule on our web site, www.greenhousegardencenter.com for a full schedule of classes, workshops, events and sales for the coming year. We try to offer a variety of options to make sure that we have something that will appeal to everyone. Keep in mind that our schedule is always a work in progress. We are always happy to receive input from our customers and always interested in promoting our local gardeners. If you have a gardening or related topic you wish to submit for publication in our email newsletter or if you wish to offer a seminar, contact us here at Greenhouse Garden Center. We can be reached at 775-882-8600 or just stop by the nursery. David, Julie and the staff are looking forward to a great gardening year, seeing old friends and making new friends. We still have a few openings left for our Landscape Design Workshop For The Homeowner on Jan. 13-14. David offers this weekend workshop only once a year in January, and the class is limited to 16. If you are planning to do any landscaping either to change existing landscape or to add new landscaping - or if you are new to the area and plan to do some changes to your property down the road - this is a workshop well worth attending. The cost is $125/person or $175/couple which includes breakfast snacks, lunch and classroom materials for both days. Savvy chefs and foodies have long known the trendy use of micro-greens adds a burst of color and flavor to your kitchen as a garnish or an actual part of the recipe. The nice thing about micro-greens is that anyone can grow them easily in any season of the year and a lot less expensively then buying them at a specialty food store. Micro-greens are different from sprouts. Micro-greens are the edible young leaves of green leafy vegetables or herbs harvested when they are a couple of inches tall and include the stem, cotyledons and first set of true leaves. They are grown in soil. Sprouts are germinated seeds eaten root, seed and shoot and are grown in water. 1. BUY ORGANIC SEEDS: Decide what you want to grow. Choices may include but not restricted to the following: Alfalfa, Arugula, Basil, Beet, Broccoli, Cabbage, Cauliflower, Clover, Collards, Cress, Kale, Kohlrabi, Mustard, Radish, Sunflower or Turnip. 2. PRE-SOAK THE SEEDS IF NECESSARY: Some micro-green seeds should be soaked overnight prior to sowing. If you notice seed clumps after soaking, dry the seeds with a paper towel prior to planting. This is because some seeds are mucilaginous seeds, which means they produce a gel sack around themselves when they come into contact with water. 3. FILL A CONTAINER WITH ORGANIC POTTING SOIL: Leave about 1/2 inch of space from the top of the soil to the rim of the container. 4. SOW THE SEEDS: Sprinkle the seeds evenly over the surface of the soil. Sprinkle a fine layer of organic potting soil over the top of the seeds and press lightly. 5. SELECT A SUNNY SPOT: If there is only indirect light or you live in an area with a lot of clouds a plant light may be required. 6. KEEP THE SOIL MOIST: A squirt bottle with fresh, clean water works well. The soil should be kept moist but not soaked. 7. HARVEST AND EAT YOUR MICRO-GREENS: Most micro-greens may be harvested when they are about 2" tall, usually 1-2 weeks after sowing. Use a sharp knife or scissors to cut the greens above the soil surface. Once you have harvested the crop toss the contents and start again. Cutting micro-greens a second time is not successful. Enjoy! There is still time to spray dormant oil and copper fungicide on fruit trees and roses to suffocate over-wintering insects and control disease. The best selection of 2018 vegetable and flower seeds is now. 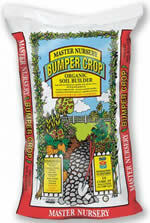 Select from our Botanical Interest and Burpee seed lines. There are many organic and heirloom varieties to choose from. Start your 2018 Garden Diary. Be sure to note daily high and low temperatures and weather conditions. As the season progresses, note when tree, shrubs and perennials blossom, bulbs come up and blossom and when and what you plant and when you harvest.